Hello gentle reader, this is a reboot of an article that I wrote for Tor.com. I’ve chatted many times over the years about the fact that one of my favorite tropes of all time is when a girl disguises herself as a boy for the purposes of infiltration. It’s hard to articulate why I love this concept so very much, but I do. It’s possible Shakespeare is to blame, Twelfth Night has always been my favorite of his plays. For me, a woman fooling the patriarchy has a feeling of justified espionage. I have always loved the idea of spying but been a little turned off by its associated questionable morality. Yet these girls are disguised out of necessity, because they cannot achieve their goals any other way. A girl-disguised-as-a-boy is the ultimate outsider, trying desperately to join a group that by her very nature is ultimately impossible. She can give me voyeuristic insight into the guarded interactions of the male of the species ­– those mysterious creatures. From a storytelling perspective, our female protagonist’s initial desperate act of subterfuge gives rise to the constant tension of possible discovery. How will friends, colleagues, and superiors react to being duped when she is found out? For the reader knows that she will, eventually, be found out. That constant stress on the character translates, at its best, to an intrinsically thrilling read. 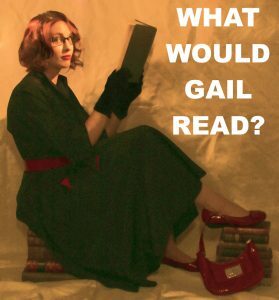 Here I review five great books where a girl dresses as a boy or, if you prefer, a woman dresses as a man. And then I’ve added a list with more at the end. The first in the Lioness quartet; a classic epic fantasy series for young adults. Alanna wants nothing more in life than to be a knight, so she disguises herself as a boy and travels to her nation’s capital to become a palace page. Alanna is witty, stubborn, brave, and talented, but also flawed in such a way that it is all too easy to see why she conceived of this madcap plan and why she might fail. The story of a woman with a very particular set of skills, and some seriously dangerous secrets, who infiltrates not only a school for swordsmen but a foreign culture, in an effort to build alliances and defeat a common enemy. Disguised as a man she is forced, eventually, to marry a woman, and must face the consequences of her own lies on a personal, as well as a professional, level. The first book in a sprawling space opera trilogy. Beka fakes her own death and becomes Tarnekep, a thoroughly unpleasant space pirate, in order to unravel the twisting political coils that are tightening the noose of responsibility around her reluctant neck. Beka loves being her male alter ego, and there is a definite aspect of transgender to Beka’s personality, which is neither empathized nor criticized. When Beka is Tarnekep she is described in 3rd POV as a he, a narrative trick that forces the reader see him for what Beka also is, male. Tarnekep allows Beka access to freedom, places, people, and information she could never have as her other self. He also finds it much easier to kill. Thus we are never certain if Beka loves being Tarnekep for what he can give her, for what he is innately, or if she/he simply exists comfortably as two distinct personalities. The first book in an as yet unfinished series. It features many of the things I love about a girl playing a boy, although in this story our low class tomboy from another culture must play at being both a noble lady and a stable lad. Politics force Jenna to assume this double act, hiding her magical abilities and her manly skills. If discovered, Jenna will bring shame and destruction down upon her family, her nationality, and her entire social caste. For Jenna, the stakes are very very high indeed. 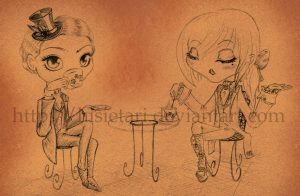 A charming take on gaslight fantasy, Nix uses the girl-disguised-as-boy trope in its more light-hearted guise. In regency times, Newt must track down a missing emerald. As it is much easier to get around alone as a mustache-wearing man, Newt dons the mustache with gusto. Hijinks and a very confused romance result. * This is an ever expanding list that I refer to constantly so if you have more to suggest, please do leave a comment. Main characters only please. 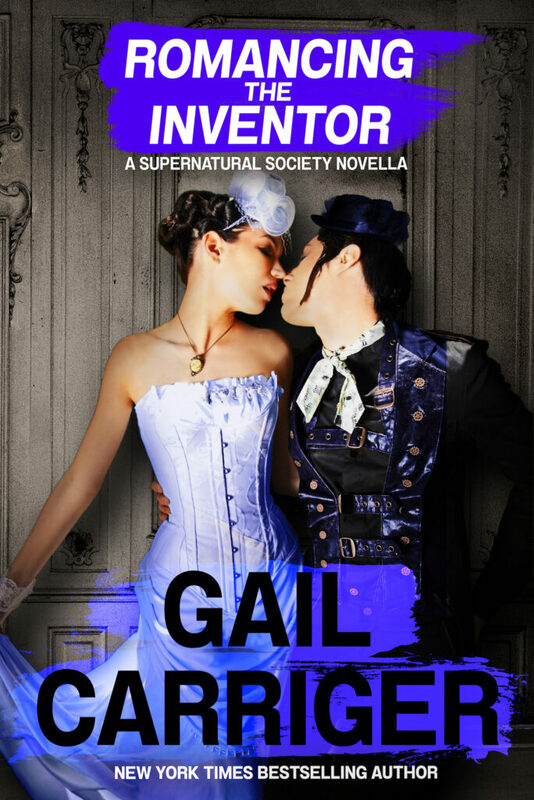 Romancing the Inventor in Audiobook. A maid bent on seducing a brilliant cross-dressing scientist who’s too brokenhearted to notice. Or is she? 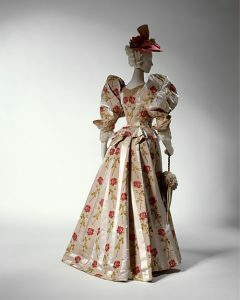 1895 The Metropolitan Museum of Art _ OMG that dress! I love this list! These types of books are some of my favorites. Bloody Jack and it’s sequels by L.A. Meyer is a series about a London street urchin who disguises herself as a boy and joins a merchant vessel in the eighteenth century. It’s YA, but rather racy for YA. The Masqueraders by Georgette Heyer has a set of cross dressing siblings. The Body in the Tower, by Y. S. Lee is the second book in the series about a young lady spy in Victorian England who dresses as a book for her assignment. 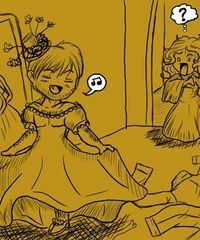 I don’t remember if cross dressing was part of the first book in the series or not. I second the praise for Mary Herbert’s Dark Horse; the late, great Sir Terry Pratchett’s Monstrous Regiment; of course Tamora Pierce’s Alanna; and I really ought to re-read Georgette Heyer’s The Masqueraders one of these days (Thanks for the reminder, Rachel). Newt’s Emerald was entertaining, but it didn’t really wow me, not to mention that Nix needs somebody to fix his heroine’s “fluent” French. 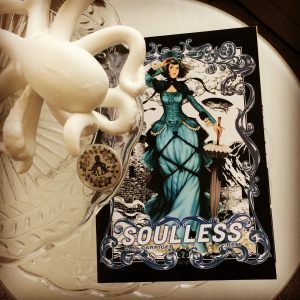 Arabella of Mars, by David D. Levine, certainly should be here: YA, C.S. Forester X Jane Austen X Jules Verne X Edgar Rice Burroughs! I’ve also recently read Winterwood, The Rowankind book 1, by Jacey Bedford, although the privateer-captain heroine’s masquerade is actually less plot-central in this adult alt-history fantasy; it’s more about class than gender. I’m sure I’ll think of more later. It’s definitely a trope I seek out and enjoy, back as far as the wagon-train Sunfire (from Scholastic) romance of Caroline, by Willo Davis Roberts, read in grade school. Here’s hoping the authors of some of the other OoP titles release them in digital form! The Switch, by Lyndsay Sands: twin sisters disguise as boy and girl siblings, but take turns as the boy, confusing the men they meet. Quite silly, probably not historically accurate, but fun to read.